BAs seen on PBS, both versions of the Emmy Award-winning definitive documentary about and starring the great African-American artist Romare Bearden. Narrated by James Earl Jones & featuring appearances by James Baldwin, Alvin Ailey, Ntozake Shange & Joseph Campbell. 2 disc DVD set includes one hour of never-before-seen bonus features. 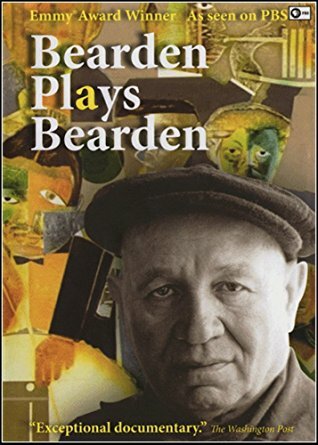 Bearden Plays Bearden is a new DVD set that includes the award-winning 1980 documentary of the artist Romare Bearden (1911-1988) created by filmmaker, Nelson E. Breen, and narrated by the oh-so-familiar but rich and wonderful voice of James Earl Jones. The set is a two-disc DVD (ca. 144 min. ); disc one includes two versions of the documentary, the original sixty-minute film and a thirty-minute abbreviated piece. The style is a cinematic collage heightened with soulful music and peppered with quotes from the artist s writings, (The Painter s Mind, 1969) and from his own conversations with the filmmaker. This project was a culmination of a three-year collaboration in which Breen interacted with Bearden and interviewed colleagues and friends.